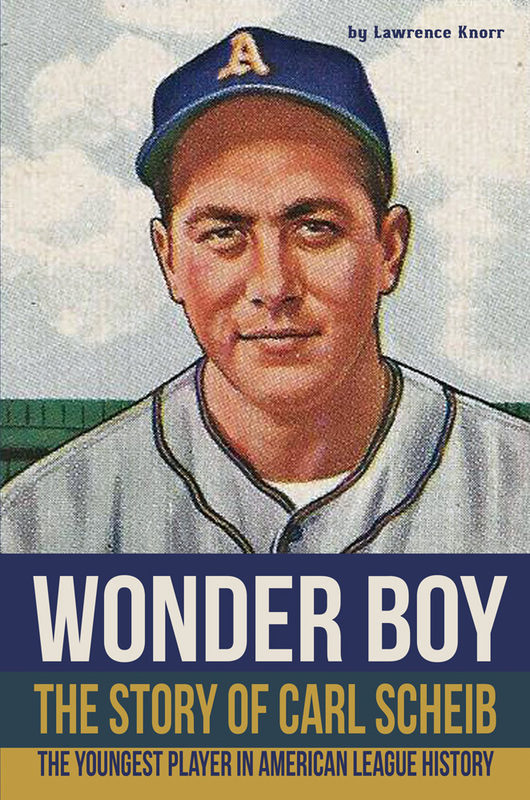 SUNBURY, Pa. – April 15, 2017 – PRLog — Lawrence Knorr’s Wonder Boy – The Story of Carl Scheib: The Youngest Player in American League History has been released by Sunbury Press in paperback and ebook. Wonder Boy chronicles the rapid raise of Carl Scheib from his high school days at Gratz and his contributions to Dalmatia in the West Branch League, to his subsequent major league career, facing such players as Joe DiMaggio, Bill Dickey, Ted Williams, Yogi Berra, Bobby Doerr, Satchel Paige, Bob Lemon, Larry Doby, Bob Feller, Luke Appling, Early Wynn, Mickey Mantle and many more. Lawrence Knorr is an amateur historian with deep roots in the Pennsylvania Dutch Region. 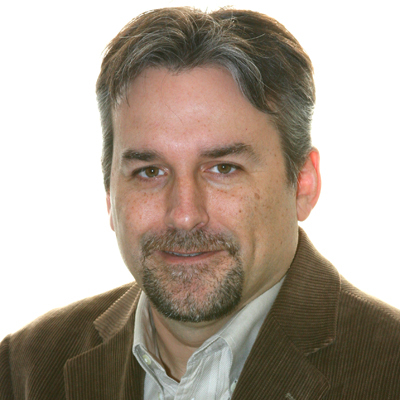 Lawrence has had a long career in information technology. He is the co-owner of Sunbury Press, Inc. and an adjunct Professor of Economics at Wilson College, Chambersburg, PA. Lawrence is a past President of the Mid Atlantic Book Publishers Association, and is currently a Board Member for the Pennsylvania German Society. Lawrence lives with his wife Tammi and has two daughters a stepson and a stepdaughter. He is currently working on The Bang Story – From the Basement to the Big Lights. 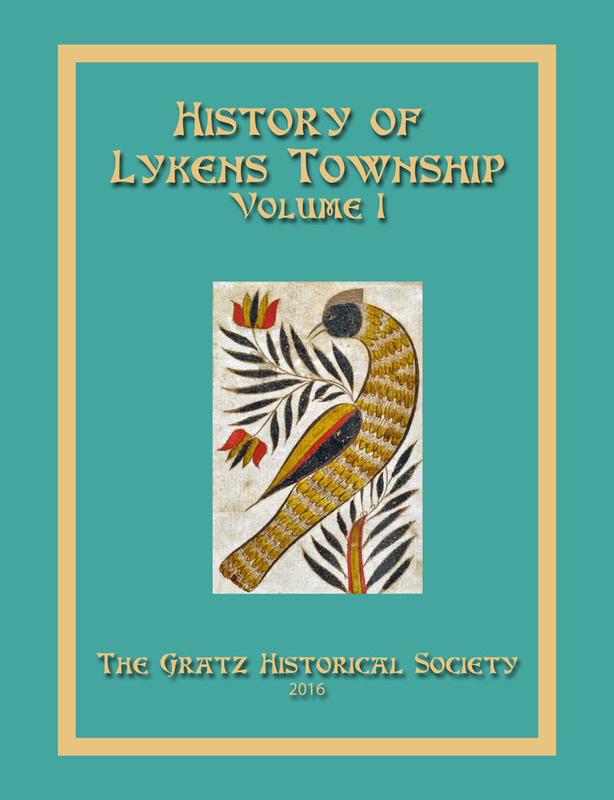 MECHANICSBURG, Pa. — Sunbury Press has released History of Lykens Township Volume 1, compiled by the Gratz Historical Society. The first volume of the book contains the official history of the township dating back to when the Susquehanna Indians lived here. The colorful story of Andrew Lykens who settled near what is now Loyalton about 1756 is next. The record of his life is most interesting. The area of Oakdale, and village of Loyalton is detailed in depth because of its early commercial beginnings, and contributions to the developing community. Information and genealogy of the first old families who established the town is included and the present residents of the town are also recognized. From here, North Crossroads Road leads the way along the area of old homesteads, and also where the early Hoffman family settled, and the site of the old Hoffman Cemetery. Crossroads Road eventually joins Route 25. A previous turn to the right onto Specktown Road, leads to the little settlement along Short Mountain, and Indian Trail. It eventually leads to the entrance to the town of Gratz. 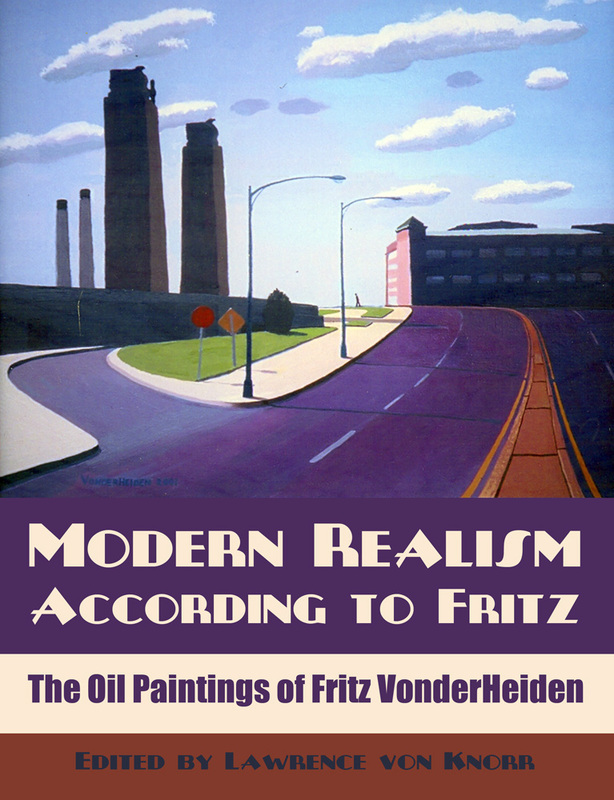 HARRISBURG, Pa. — Sunbury Press has released Lawrence von Knorr’s catalog of the paintings of Fritz VondeHeiden entitled Modern Realism According to Fritz: The Oil Paintings of Fritz VonderHeiden. 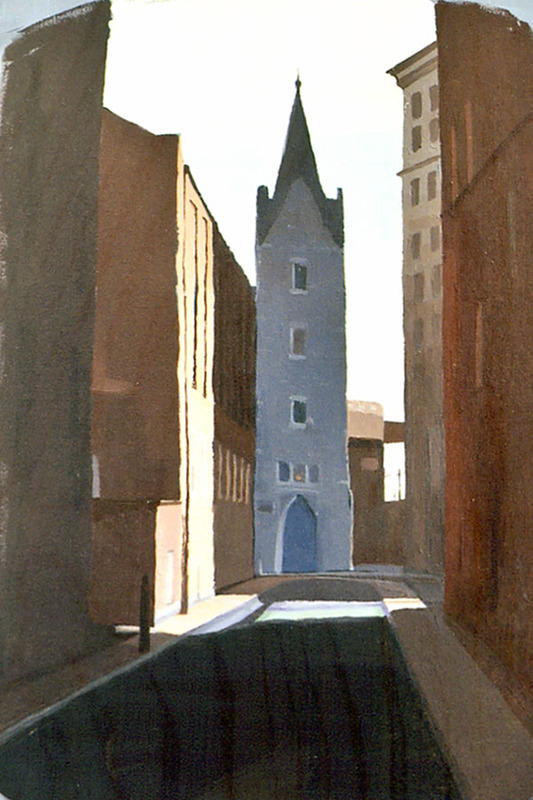 No one has painted urban Harrisburg as often as Fritz VonderHeiden (b. 1934). 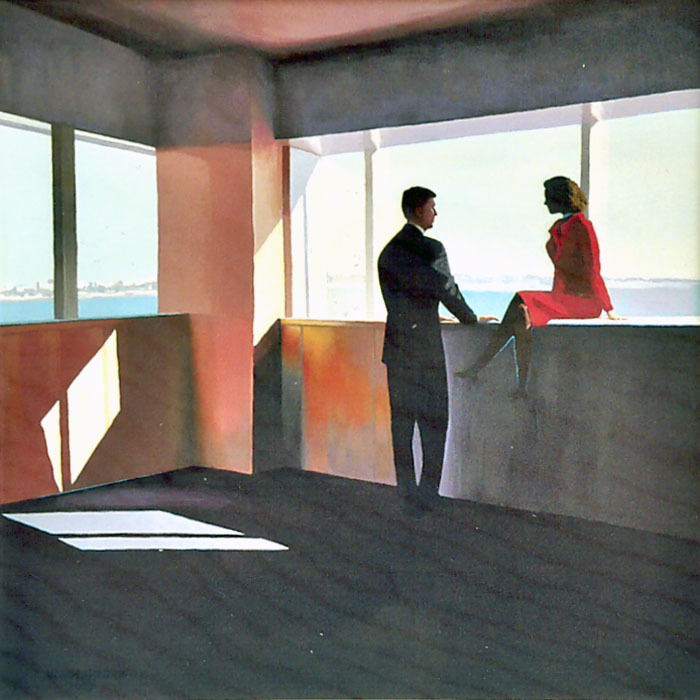 His style, developed over many decades, calls to mind Edward Hopper, but in a reductionist, minimalist way. His best urban works feel sterile and monolithic, emphasizing the geometry of road, architecture and the natural world in a compelling composition of curves, color, and structure. They exemplify the energy of the 20th Century, harkening back with Art Deco elements. Fritz did not always paint this way. His earlier works – and some of his award-winning paintings – are more detailed, calling to mind Winslow Homer and John Singer Sargent. His range of subjects is also varied, from the urban settings mentioned to country landscapes, lighthouses, portraits, still lifes and even surreal imaginings. This book contains images of 127 of Fritz’s paintings in all of his categories: Scenes of Harrisburg, Scenes of the Greater Harrisburg Area, Portraits, Groups, and Figures, Landscapes and Lighthouses, and Still Lifes and Wildlife. All help celebrate the long career of this prolific painter, capturing his mastery of 20th Century Modern Realism. Lawrence von Knorr is a native of Pennsylvania who is one of the pioneers in “Digital Impressionism” or “Photo Impressionism”, utilizing computer software to enhance photography to produce painterly creations. 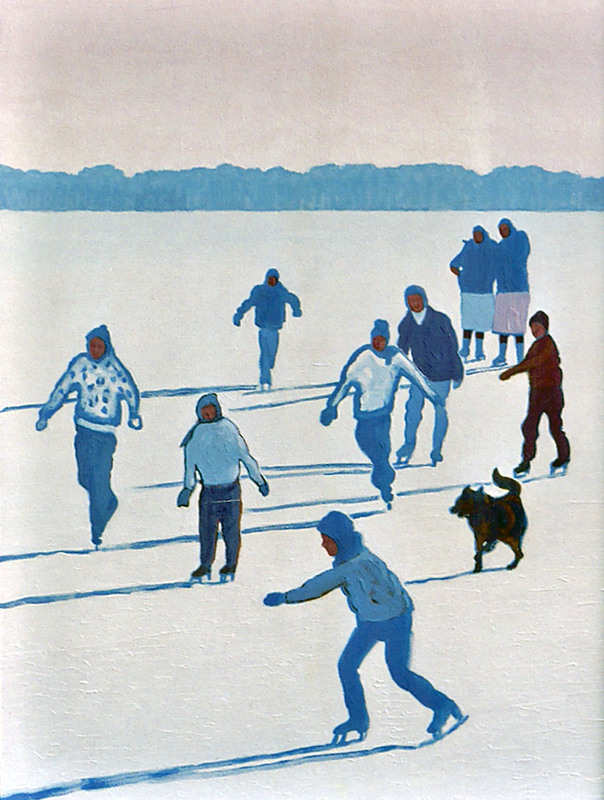 His work includes landscapes, architectural, portrait and still-life subjects. An exhibition of Fritz VonderHeiden’s work is being held at the 2nd Floor Gallery at 105 S Market St, Mechanicsburg, PA, 17055, for the month of October. A book signing will be held there on Saturday October 18, 2014, from 6 PM to 9 PM. Please contact the gallery for more information: (717) 697-0502.